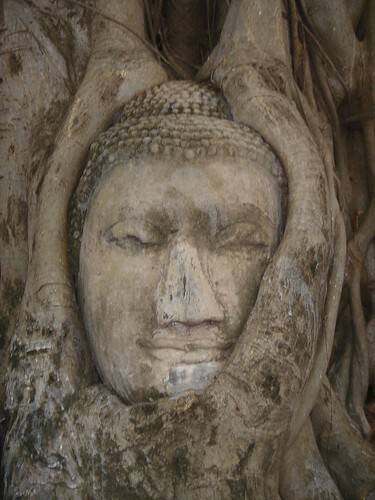 The view of buddha head in the roots of a tree is quite spectacular. But its too bad that the heads of all the buddha statues were chopped in the the Burmese attacks in 1767. One of the few Buddha heads that looks absolutely beautiful if seen from the cultural as well as archeological point of view. it can be said that the head of the Buddha Statue was saved by that Bodhi tree otherwise it would have been destroyed during the attack.